Why bother learning how to tune your guitar? This is the Roadie. It’s a guitar tuner with a rotating slot that you slide over a tuning peg of your guitar. Then you pluck a string, and the Roadie listens to the pitch, and actually turns the peg for you, shifting the pitch up or down until it is in tune. The Roadie: Essential, or pointless? Like a guitar-playing hippie in the park ever tunes their instrument anyway. The Roadie is either a genius invention, or a complete waste of money. That’s because it requires your iPhone in order to do its business. 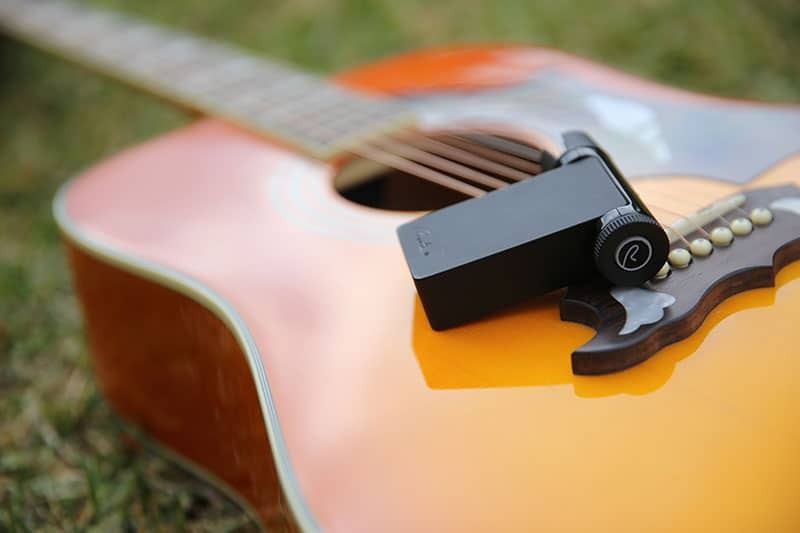 The Roadie hooks up to its companion iPhone app via Bluetooth, and uses the iPhone’s microphone to listen to the guitar. The app then instructs the motorized Roadie handle, telling it how far to turn, and in which direction. Using the app, you can also select alternate tunings form the standard EADGBE guitar tuning, and you can also tuner other stringed instruments. And one nice feature is that, as the app listens to your guitar over and over, it tracks the “elasticity and tonal signature” of your strings, and tells you when its time to change them. It seems neat enough, but there are downsides, too. One is that you still need your iPhone order to do the tuning, so really you may as well just use a tuner app, and do the tuner-turning part yourself. iPhone tuners are ok, but if you’re using one in a noisy environment, then they’re hopeless. You’re much better off using a headstock tuner that clamps onto the top of the guitar and detects the notes via vibration, instead of using a microphone. The Roadie 2 fixes this. It uses a vibration-sensor instead of a mic, which also has the benefit of not requiring the iPhone. 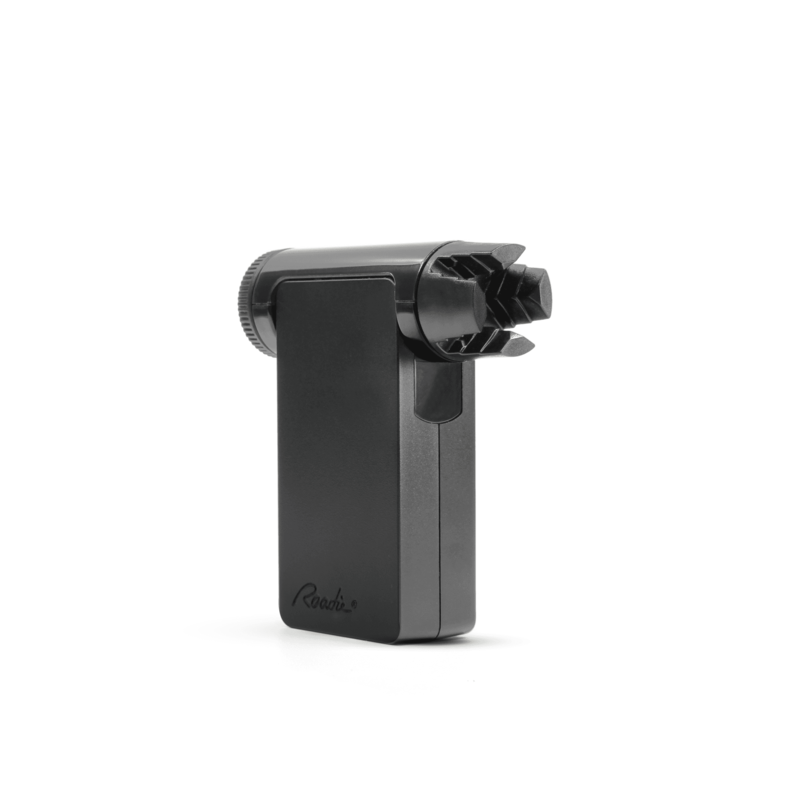 The Roadie 2 can be used standalone, although you still need the app to access advanced tuning features. All in all though, it seems like a gimmick. 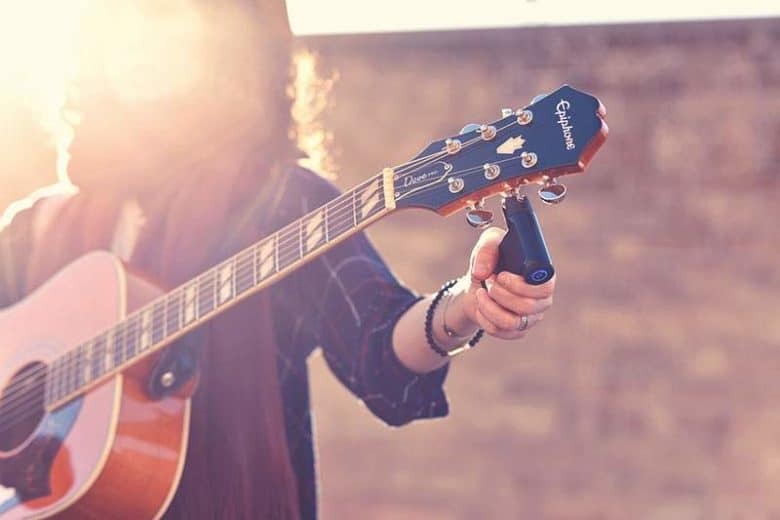 To tune you guitar, you need to make sure the Roadie is charged, then you have to connect it to your iPhone via Bluetooth, you need to launch an app, and you need to balance the iPhone on your knee, or somewhere close enough to the guitar to hear it properly. In exchange, you get to not tune a knob. It seems like a poor tradeoff. And if you have the money to afford the Roadie, or the even more expensive Roadie 2, then you can definitely afford to buy a proper tuner, and use that. I’d recommend the PolyTune clip, or the Sonic Research Turbo Tuner, if you’re asking.